With Robert Stone in Key West, ca. 1995.
to discuss the craft of Jean Rhys, Janet Frame, Christina Stead, Malcolm Lowry, all of whose works can teach us little about technique, and whose way of touching us is simply by exploding on the lintel of our minds. It is not technique that guided them. Their craft consisted of desire. We are American writers, absorbing the American experience. We must absorb its heat, the recklessness and ruthlessness, the grotesqueries and cruelties. We must reflect the sprawl and smallness of America, its greedy optimism and dangerous sentimentality. And we must write with a pen—in Mark Twain’s phrase—warmed up in hell. We might have something then, worthy, necessary; a real literature instead of the Botox escapist lit told in the shiny prolix comedic style that has come to define us. She smiled, thanked the audience, and sat. There were no questions. A student at the reception wondered aloud if tonight’s craft talk could have possibly destroyed future craft talks. “I hope so,” her friend said. 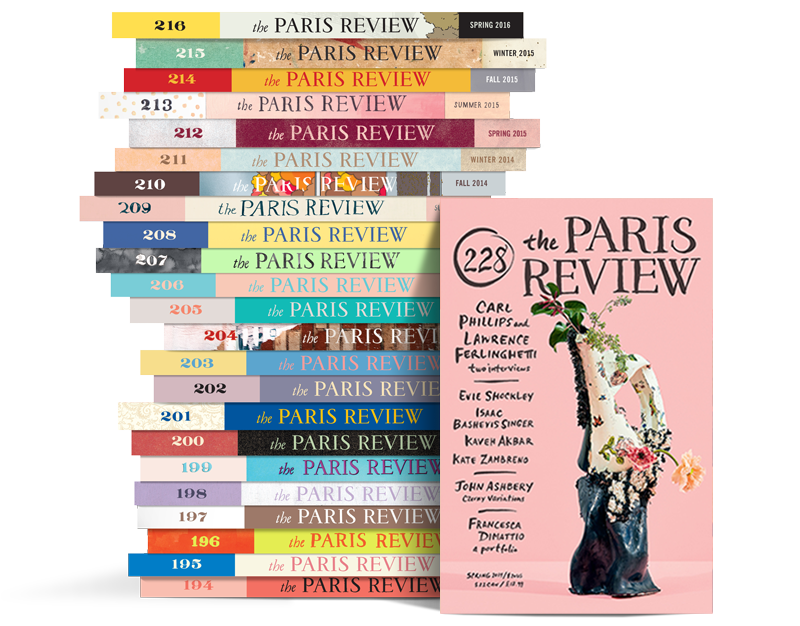 The Paris Review had already run several of the earliest, weirdest Joy Williams stories before George Plimpton agreed to publish State of Grace under the magazine’s book imprint in 1973. The novel, her first, would be nominated for the National Book Award when its author was thirty. (She lost to Gravity’s Rainbow.) She went on to write three more eerie, eccentric novels of life on the American margins as well as four renowned collections of stories, upon which her reputation solidly rests. Many have attained cult status beyond the normal anthologies—“Traveling to Pridesup,” “The Blue Men,” “Rot,” “Marabou,” “Brass”—and are frequently passed around M.F.A. departments with something like subversive glee. They are, as Williams probably hoped, unteachable as craft. The New York Times admitted more than it meant to, perhaps, when a reviewer claimed her work was “probably not for everyone.” Over the decades, wildly different stylists—Donald Barthelme, Don DeLillo, Raymond Carver, William Gass, Karen Russell, Bret Easton Ellis, James Salter, Ann Beattie, Tao Lin—have all expressed unqualified admiration. Williams was married to Rust Hills, fiction editor of Esquire, for thirty-four years, until his death in 2008. Now she divides the seasons between Arizona, Florida, and New England, crisscrossing the country in an old Ford Bronco with two sable-black German shepherds, writing in motels or as the occasional guest of a college. She uses a flip phone. She types postcards in lieu of e-mail. She has never owned a computer. She continues to wear the same prescription sunglasses, indoors or out, night or day. 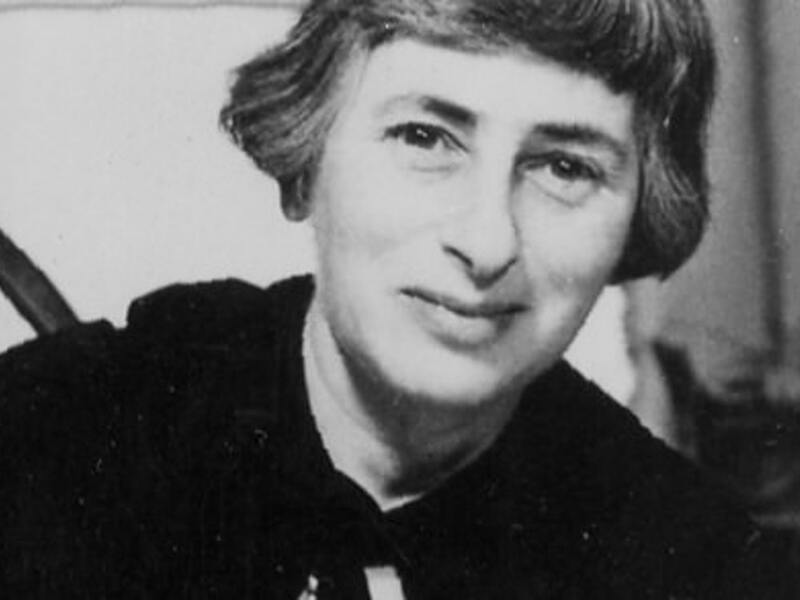 She was a writer-in-residence at the University of Wyoming when this interview was arranged. It was October; snow whipped between the ranges like a sandstorm, while several big rigs had jackknifed on black ice coming into Laramie. I phoned from a coffee shop, and she gave me directions: thirty miles north to a ranch where the Bureau of Land Management had relocated herds of wild mustangs. Williams was staying in a red-roofed log cabin with a porch swing and fire pit. The sun broke through like something from Doctor Zhivago. Everything about the wintry scene felt germane to this particular artist: the scope and grandeur of the natural world, the monkish quiet, two dogs with lively personalities, and—roaming everywhere—hundreds of wild horses, nervous and arrogant. Huddled in a hoodie, Williams made coffee with almond milk before sitting across from me at a pine table. She got up several times to retrieve objects or fuss with the dogs. When the talk was over, she drove us into town for a martini and we returned after dark. There was a fat moon. She cut the truck’s headlights and moved, very slowly, through the herds as they sniffed and stepped aside, hides glowing with moonlight. What do you teach, when you’re visiting a college? Is there a philosophy you try to impart? James Salter once taught a whole course of novels that were written when the authors were the same age as his students. Isn’t that clever? Well, it could also be intimidating. Mostly you just need to support them until they get older and sort themselves out a bit. An only child, growing up in Maine. My father was a Congregational minister. He had a church in Portland. It was a big city church, a beautiful, very formal place. His father was a Welsh Baptist minister who, as a young man, won the eisteddfod in Wales. His prize was a large, ornately carved chair, the bard’s chair, which I wanted very badly as a child. The chair made it to this country but was given to my father’s older brother, who gave it to a historical society in Wilkes-Barre, Pennsylvania, from which it was washed away in a flood. Preachers and coal miners, my genealogy. You said you still own your father’s Bible. Oh, yes. He had lots of Bibles. I kept them all. I’ve got my father’s notebooks, his sermons. One of these days I’ll get them organized. My mother always said she was going to throw them out. They’re not meant to be read, they’re meant to be heard, she said. But I’ve still got them. Were you a good student? An avid reader? When I was a child I thought the answers to tests had to be transmitted to a person through some kind of food. Perhaps I read it in a book. In any case, it seems I was always preparing myself for tests, or thought I was. I was uneasy with my presence in life. Who was I, anyway? What was I supposed to do? Even with my obsession with preparing for the tests of the day, I was an indifferent student before I went to college. I had my heart set on Colby, in Maine, this tiny liberal-arts college, but I didn’t get in. Marietta, in Ohio, is where my father went, so I went there. I loved it. I was Phi Beta Kappa. Do you have your key? I do. Do you want to see it? The first was stolen, so my husband tracked down the Phi Beta Kappa people and got me another one. They don’t give it to just anybody, apparently. As I said, I loved college. I had the guidance of an elderly, morose, chain-smoking English professor—Dr. Harold Dean. I never spoke well or argued well in class. But filling up blue books with the gleanings and gleamings of thought, which somehow became a new thought—that was very fulfilling to me. I read Donne, Dickinson, transcendentalism, Eliot, Camus, surrealism. I drank it all up. I was obsessed with Dickinson. The professor gave me her collected poems, three volumes in a box set. A lovely thing. It fared very badly in Florida, all those years, eaten by insects. Is it true that when you left home, your family gave you multiple copies of the same book? Miss MacIntosh, My Darling. When I was going off to college, I got two copies of this thing, this impossibly neurotic, very strange book by this woman who’d been working on it her whole life, Marguerite Young. What were they thinking? I got Berryman’s collected poems at some point for a birthday, but back then I guess my parents read a review somewhere and thought, You know, well, Joy thinks she’s going to be a writer. Had you already started writing? You were published quite young. A lot of those stories aren’t collected. “The Roomer,” my first published story—it was in The Carolina Quarterlyand won an O. Henry—that’s never been collected. I didn’t want to. I thought it was sinister and immature. George Plimpton introduced me once at a reading in that voice of his and said that he’d discovered me, that he’d done the first published story of mine. I had to speak up, from the audience, “Uh . . . ” He laughed, charmingly. From college, you went to Iowa? On graduating, I wanted to join the Peace Corps. It was the early sixties, after all. But the cadaverous Dr. Dean—really, his looks were remarkable—he convinced me otherwise. He wanted me to become a writer. He wanted me to go to the writing program at the University of Iowa and become a writer. So another two years in the Midwest, far from my heart’s home in Maine. The workshop at Iowa met in Quonset huts on the river, then—freezing. Ray Carver was in the poetry classes. He was always a poet. I knew his wife Maryann better. We were waitresses together, but I was always getting fired. In the workshops I studied with R.V. Cassill and Vance Bourjaily. A more imperfect match there cannot be imagined. Richard Yates came in at some point, I think. Eleven Kinds of Loneliness had just come out in paperback. He seemed a little remote and anxious to me, though not particularly lonely. Revolutionary Road was hugely impressive, but the stories touched me not at all. They seemed old-fashioned, resolving themselves on small matters. Had you begun your first novel, State of Grace? I graduated, got married, and moved to Florida, where my husband worked at the Sarasota Herald-Tribune. We had a dog, a beach, a Jaguar XK150, black, which to this day I wish I still possessed. Then the husband was transferred to Tallahassee. I didn’t want to live in the big city, I wanted to live in the country. We rented a trailer in the middle of tangled woods on the St. Marks River. Didn’t know a soul, husband away all day. I wrote State of Grace there. Excellent, practically morbid conditions for the writing of a first novel. We returned to Siesta Key, and I got a job working for the Navy at the Mote Marine Laboratory, researching shark attacks. The only job I’ve ever had, other than teaching. Well, there was the waitressing. But I was writing, I was getting published in The Paris Review. Really, I had no idea what I was doing. Did you feel alone with the work? Utterly adrift? I had no connections, no writing circle. I typed everything single-spaced so it would look as though it were already published. Looking at those manuscripts now, I’m amazed at how fluid everything was. No hesitation, no correction, no revising. What a gift! What or who had given me this gift? I mean, the stories weren’t brilliant. They might not have even been particularly good. But I wrote stories, I began and ended them. I didn’t have much experience with anything, but I had my thoughts. I believed stories should have a purity and not be about what was going on—and there was a lot going on, of course, in my life. My husband and I acquired a toucan, then we had a baby. No one knew I was going to have a baby. I was skinny, no one seemed to remark. You know, I didn’t even tell my parents, my dear, dear, supportive, loving parents. When my husband called them on April 6, the day Caitlin was born, they didn’t believe him. Why did I do that? I don’t know. It was so cruel. I suppose I was a little odd, a little secretive. I still have secrets. Is that what stories are to you? Secrets? I recently received a letter from an Iowa Workshop grad—typical—seeking my participation in a “collaborative” interview. The question was, Why do short stories matter and why should we value them? What a retro question. It sounded like something out of the 1940s. I was too weary for a reply, but I think they probably don’t matter all that much. A herd of wild elephants matters more. And which stories are we talking about? There are so many of them. Can you define a story, if not its usefulness? What a story is, is devious. It pretends transparency, forthrightness. It engages with ordinary people, ordinary matters, recognizable stuff. But this is all a masquerade. What good stories deal with is the horror and incomprehensibility of time, the dark encroachment of old catastrophes—which is Wallace Stevens, I think. As a form, the short story is hardly divine, though all excel- lent art has its mystery, its spiritual rhythm. I think one should be able to do a lot in less than twenty pages. I read a story recently about a woman who’d been on the lam and her husband dies and she ends up getting in her pickup and driving away at the end, and it was all about fracking, damage, dust to the communities, people selling out for fifty thousand dollars. It was so boring. You tend to mistrust the literal. How do you conceive stories? Do you start with metaphor? I honestly don’t know how I approach such things. That’s the frustration. You want to have your writing do more, and speak more, and yet ... Do you want more coffee? So back to Florida, early 1970s, holed up in a rented trailer. This may be boring or irrelevant, but I go away to Yaddo, in the winter. I write a story called “Taking Care.” I show the story to a writer there, a sophisticated feminist from New York. She suggests I cut the final line, “Together they enter the shining rooms.” I am dismayed. I become suspicious of readers. Of course I will not cut the line. It carries the story into the celestial, where it longs to go. In your mind, you’ve finally written your first good story. I send the story to The New Yorker. I receive a nice letter in return. Rather, it begins nicely and admiringly but ends on a somewhat accusatory note. The story is insincere, inorganic, labored. Only once in my career will I appear in The New Yorker. And as Ann Beattie said, the only thing worse than never appearing in The New Yorkeris being accepted only once by The New Yorker. I send it to a new magazine called Audience, a hardcover, oversize, heavily illustrated magazine. Its fiction editor is Rust Hills. He loves the story. He is utterly moved by the story. In a few months I return to Yaddo—winter again—and he, quite by coincidence, is there, too.